Manchanda Kaisville Country Home is a beautiful residential property situated along the Kullu-Manali Road in Kullu/Manali. Having a stunning landscape, the project offers ready-to-move 1BHK, 2BHK and 3BHK apartments and has a 90% open area. Located at a short drive from the Mall Road in Manali, the property provides various essential amenities like 24/7 water supply, 24/7 power backup and firefighting services. There are other facilities that the residents can benefit from like car parking, gym, club house, restaurant, shopping centre and children?s play area. Running along the Beas River, Kullu-Manali Road is a popular destination among holiday home buyers and property investors. Connecting the Leh-Manali Highway, the region offers great connectivity to the other regions in the state. It is also a short drive from the main Mall Road area in Manali, which has a number of important civic centres like schools, hospitals and shopping centres. With the growth in good transportation facilities connecting Manali to major cities in neighbouring states, the interest among property buyers have increased. Manali is a popular tourist destination and a picturesque valley situated in state of Himachal Pradesh. Located on the banks of Beas River, the city offers excellent property investment options for those who are looking to buy a second home or a holiday home. As the roads in the areas have improved drastically, the area has become a hotspot for property developers. They have started various new projects catering to high net-worth individuals who are looking for quality homes in this spectacular tourist spot. Where is Manchanda Kaisville Country Homes located? Kulu Manali Road, a prime residential locality for house seekers in Kulu/Manali. What size of flats are available in Manchanda Kaisville Country Homes? The apartment sizes in the project vary from 839.0 sqft to 1994.0 sqft. 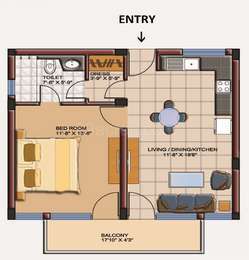 What is the area of 1 bhk in Manchanda Kaisville Country Homes? 1 BHK units in the project are available in a size of 839.0 sqft. What is the 2 bedroom size in Manchanda Kaisville Country Homes? 2 BHK units in the project are available in a size of 1406.0 sqft to 1446.0 sqft. What is the 3 bedroom size in Manchanda Kaisville Country Homes? The area of 3BHK units in the project varies from 1726.0 sqft to 1994.0 sqft. How much is the total size of Manchanda Kaisville Country Homes?The project is spread over an area of 7.0 Acres. MM builders have been the realty business over 25 years developing parts of Delhi NCR. Some of its successful projects are Aditya Megacity, Aditya Celebrity Homes, Jaipuriya sunrise greens, Paramount Symphony. Passion and commitment have made Manchanda and Manchanda Builders a most designated builder with improved modern design and construction quality. Buy real estate property in Himachal Pradesh as per your choiceMake easy to find properties in Himachal Pradesh as per your choice. Buy land, House, commercial property with beautiful mountainous surroundings of Himachal. Buy residential and commercial propery in peaceful and beautiful environment of HP. Hi Sangita, request you to be little specific about your requirement for relevant details.